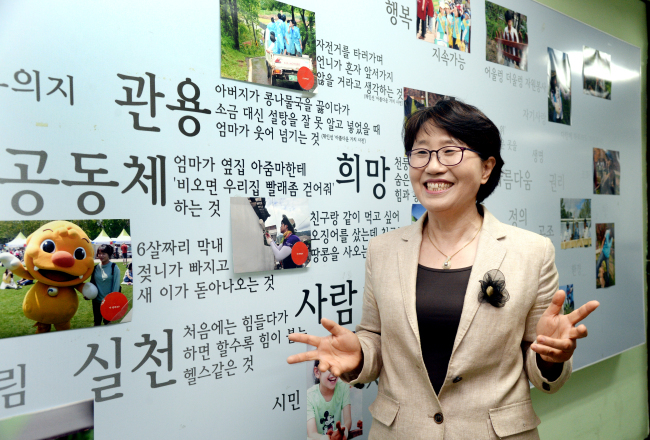 When Ahn Seung-hwa started her career in volunteer management as chief program manager of South Cheungcheong Volunteer Center in 1999, she had no office or budget to run. “Me and two other colleagues literally started from scratch,” Ahn recalled in a recent interview with The Korea Herald. The center was among several community-level facilities that opened in 1997, as part of the government’s campaign to promote and nurture volunteerism in South Korea, after rapid urbanization and industrialization destroyed communities. Ahn was one of the few first-generation volunteer coordination and management experts in the country. Nearly two decades have passed since then, but Ahn says South Korea still has a long way to go when it comes to discovering the joy of helping others. Until 2000, South Korea’s middle and high schools forced students to spend 20 hours annually volunteering for their community. It has since become more flexible and the required hours are down to 10. The system of mandatory hours of community service or volunteer work has led to a barrage of students each year counterfeiting their certificates of volunteer service or inflating their service hours. 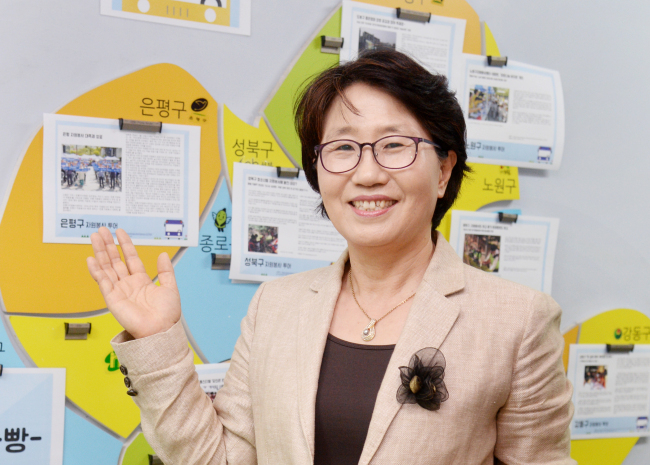 Ahn, who now heads the Seoul Volunteer Center, said that South Korea’s volunteering culture is “conservative,” often associated with the stereotype of one-off street cleaning campaigns or helping the disabled at welfare centers. “Volunteering is not difficult. It is as simple as showing others that we respect them and sharing what we have,” she said. In a similar vein, the Seoul volunteer center is exploring creative ways of volunteering, she stressed. At a recent conference organized by her center, over 250 volunteer program managers, experts and social workers gathered to discuss ways to change the volunteering paradigm, such as venturing into digital platforms. In a society where social disconnection and isolation are major problems, she said regular volunteering can help communities. She suggested that active participation from those in their 20s and 30s could make a society even stronger. “Although those in their 20 and 30s are riddled with serious unemployment, the low birthrate and housing problems, a good dose of volunteering can help them contribute to community and provide them with the time to look back on themselves amid busy daily routines,” she said. Noting that the young generation’s participation in volunteering is more crucial ever than before, the Seoul Volunteer Center plans to financially support startups and social entrepreneurs that strive to make a social impact and spread positive messages. “We do not know yet the exact budget for the project. I think it will be probably small, but we’ve decided to help them because it is our -- as a volunteer center -- role to serve the society,” Ahn said.